Disadvantaged students are to benefit from a new project involving University of the Arts London (UAL) which aims to challenge stereotypes to raise the expectations of students and their lecturers, and to build belief in their abilities. The project, led by academics at the University of Portsmouth, has been awarded £500,000 by Hefce, the Higher Education Funding Council for England. The main aim of the project is narrow the attainment gap in black and minority ethnic groups and those from working class backgrounds. 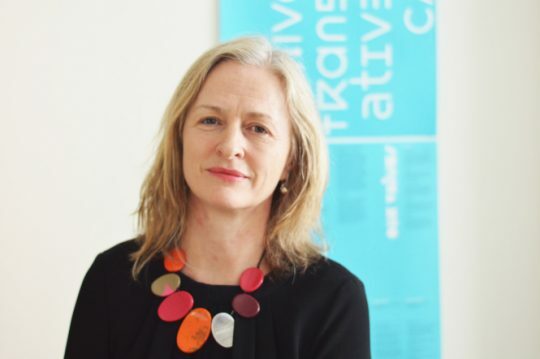 Professor Susan Orr, UAL Dean of Learning, Teaching and Enhancement, will be the UAL lead on the project which will involve 5,200 university students and 800 university staff working with teams across five universities. The project – titled Changing Mindsets – includes helping staff and students to overturn sometimes deeply-held beliefs and prejudices that abilities are fixed replacing it with an understanding of learning potential that does not pre limit ideas about student learning. “Whilst UK universities have been very successful in diversifying the student body, they have some way to go in ensuring an inclusive learning experience. Across the sector data reveals that Black and Ethnic Minority (BME) students and staff face considerable barriers to success. Compared to white students BME students do less well in relation to degrees level attainment and BME staff are significantly underrepresented in senior positions. The project will run from this September at student and staff workshops at the University of Portsmouth, UAL, Canterbury Christ Church University, University of Brighton, and University of Winchester. Experts at all five universities will work with students and their teachers on changing mindsets, bias reduction and habit breaking. The team aims to develop a social media community of learning and digital toolkits for staff at other universities to use as part of continuing professional development. The first results of the two-year study are expected in June 2018, and will include data on individuals’ perceptions and any changes they’ve made or noticed, alongside the number of disadvantaged students who complete their course and their average grades compared to similar groups’ results in the same and previous years.